We’ve written a lot about recording at night, playing at home and rocking on stage here on the Blog Of Tone. Between us, our writers have done plenty of all these things, and we’re hopeful that this is a place where you can learn from our experiences (good and bad!) in the world of guitar tone. But Alan Parsons is something completely different. This is a man who has engineered records for The Beatles (Abbey Road) and Pink Floyd (The Dark Side Of The Moon), among many others, as well as having a hugely successful career off his own bat as a musician, songwriter and performer. Sounds about right to us. In fact, we did a previous blog on precisely this debate, and our conclusions agreed with Alan’s judgment 100%. Read it here to decide whether you really need tubes iny our amp in order to record the best guitar sounds. 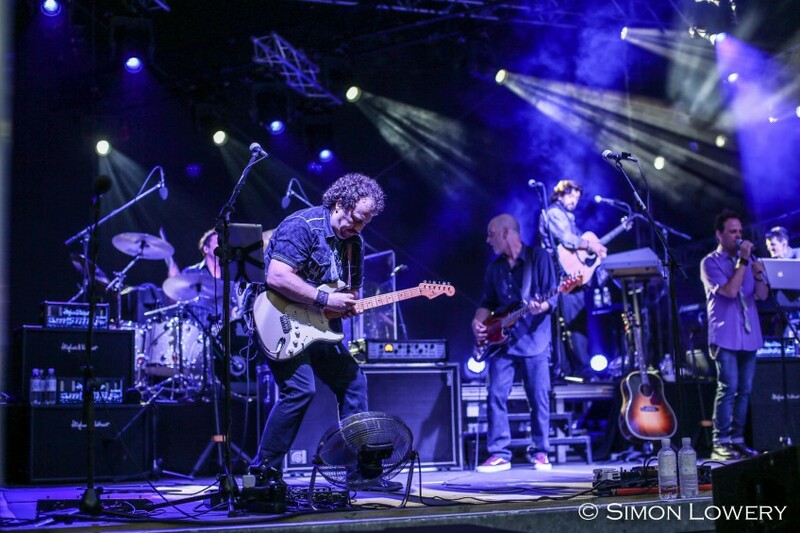 The Alan Parsons Live Project in concert in Koblenz, Germany, September 2015. This is something we’ve not really tried ourselves too much. Like many other recording guitarists, we’ve spent many hours testing out the various positions you can place a mic in relation to the speaker cone – but we’ve never thought too long and hard about the distance thing. Considering some of the mammoth guitar sounds Alan’s had a hand in over the years, though, it’s most definitely something to try out! To mic or to DI? And on a related note, Alan also told us that although he’s taken the direct feed out of amps in the past, for him the mic/cab combination is the way to go. 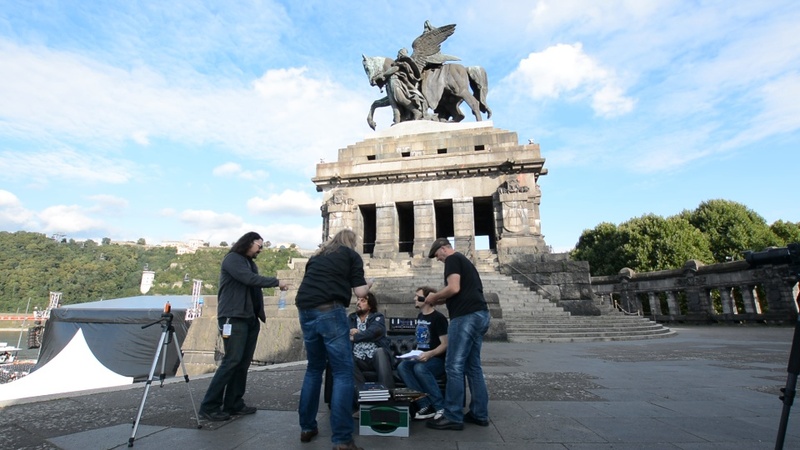 Getting Alan Parsons set up for his interview before the band’s gig at the Deutsches Eck in Koblenz, Germany. The stage area is the black tent in the bottom left of the photo. And yes, we carried the Hughes & Kettner couch up about 100 steps to get this location! This is a subject we’ve also blogged on in the past – read our take on mics versus DIs here. We didn’t just talk about recording with Alan, though. 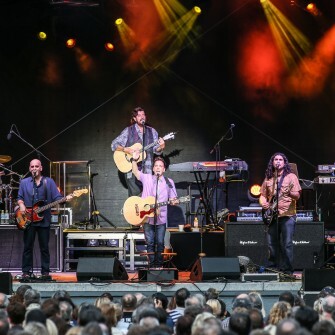 In fact, we spent a good deal of time discussing his career as the focal point of the Alan Parsons Project (these days they’re the Alan Parsons Live Project). The DVD series we refer to in the interview is Alan Parsons’ Art & Science Of Sound Recording, and you can find more information on that right here. We hope these tips can help get you on the road to better recorded guitar tone, and we’d love to hear from you if you’ve tried – or if you go on to try – some of the more experimental techniques Alan mentioned in the interview! First published: October 02 2015. Most recent update: October 02 2015.